Life coaching is not therapy, an attempt to fix something that is or isn’t broken, or an excuse to focus on your past. The thing about life coaching is that it helps you create new awarenesses—rather than being told what to do or think, life coaching recognizes the answers lie within you. This is your opportunity to discover your goals, values, and wants; realize your power; and acknowledge your highest potential! Our approximately 40 minute, weekly, in-person, Skype, or telephone coaching sessions will enable you to bring out your very best and equip you with the life skills and tools necessary to accomplish your dreams and stay empowered, focused, and motivated. 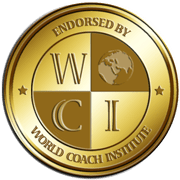 As a certified graduate of the World Coach Institute™ who specializes in Youth (ages 13-21), Parent, and Family Life Coaching, I am your very own personal cheerleader! My role is to provide feedback, insight, guidance, support and encouragement to help you be and love your best self. 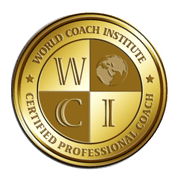 Complimentary Consultation: 30 minute consultation to discuss your coaching needs. Please contact me at contactkermitsays@gmail.com to schedule an appointment. Intake Session: 90 minute initial session to dive deeper into what you would like to gain from coaching. Coaching Package Selection: Packages include six and twelve week coaching sessions (includes intake session). Client must meet for a minimum of three to six months to achieve desired results. Certified checks and cards are accepted for payment.